A challenge many businesses face is finding media that they can use for free. It’s good to understand that you can’t just grab images off of Google. The reason being is because copyright laws and Licensing can get in the way, along with possibly get you in trouble. So I’m going to be writing this article telling you where you can find free to use images that you don’t need a to attribute credit to (CC0). Even images that you’re allowed to use commercially, and if you wanted to you could modify the images as well. Not only will I tell you where to find images, but I’ll also tell you where you can find things like icons and videos that you can use on your website or other media like print and social. Pixabay is my go-to website when it comes down to free to use images that I do not need to attribute for. They have a very large selection of images on the web that photographers around the world contribute to. Not only that but they also have several vector graphics on there as well help convey a message to your customers. You can freely use modify and distribute these images. The only stipulation is that if an identifiable person is placed in a bad light or in a way that people may find offensive you cannot do that unless they give their consent. Meaning you cannot use them for something pornographic, unlawful, or immoral. Pixabay is an amazing resource when it comes to free to use images. I encourage donating to the authors whose images that you download the most. You can do this by clicking the coffee button under the profile picture of the author when viewing an image. Pexels is another great website that has free to use images that have optional attribution. Pexels of course also says that the pictures are free for personal and even commercial use. The restrictions again are similar to that of Pixabay where you cannot represent the person that may be identifiable in the image in a bad light. They even encourage you to contribute your own images if they are high quality. You also have the option to donate to them which supports free to use images on the web. The button is at the bottom of their about us page. Unsplash is another website that you can use to download even more free to use images. According to their Manifesto, the concept was born from the pain that they as the creators had in finding great usable imagery. Just from looking through their library I can tell you that a lot of the images that they offer are high-resolution meaning that they’re very good quality. And like Pixabay and Pexels they offer a Creative Commons Zero license. You cannot portray recognizable people in photos in a bad light without their permission. If there are any trademarks, logos, brands, or anything else related to a different company depicted in the images (Like a Coca-Cola sign), that does not mean you could suddenly go about using that company’s logo. You will first need to ask for permission from the company. This is another awesome place for you to find videos that you might need for your website or blog. If you’re just stitching a video together and you need some sort of HD stock footage or you’re looking for something to be a buffer between your different scenes Pexels Videos might be the place for you. This is actually where we got the video background for our homepage. The videos have the same rules as the pictures stated above and are also under a CC0 license. If you go to Pixabay’s website and you look at their search bar you’ll see that they have a video filter. You could use this video filter to find other free to use CC0 videos. Those of course, with the same rules that I mentioned above, do not require attribution. Also, like Pexels, Pixabay provides HD video that you can use for your projects. Icon fonts are typically used by web developers and designers to give websites and web apps a better user experience. Could you imagine a world without icons? Font awesome is a massive icon pack along with a web designers best friend. We use them quite often for many of the websites that we design along with web applications that we develop. What an icon is able to do is provide a better user experience along with conveying a message better. Fontello has a huge collection of icons on their website that could be integrated into your site or a web app. They give you the ability to choose whichever one that you want along with download your selection. Fontello does not also require attribution. It is technically stealing if you go to Google images and download an image that you end up using for a commercial purpose. This is called piracy. The reason why it’s illegal is that the original artist who created the image did not give you permission to go and take it off of whatever resource you took it from. That’s because the author is the original copyright holder even if there is no copyright symbol on the image. When you visit these different websites that I talked about the media that they offer is free to use on your own site. With attribution being recommended but not required. Using these sites keeps you away from hefty copyright fines that can cripple most small businesses. Decreasing risk and liability significantly, that’s why it matters. 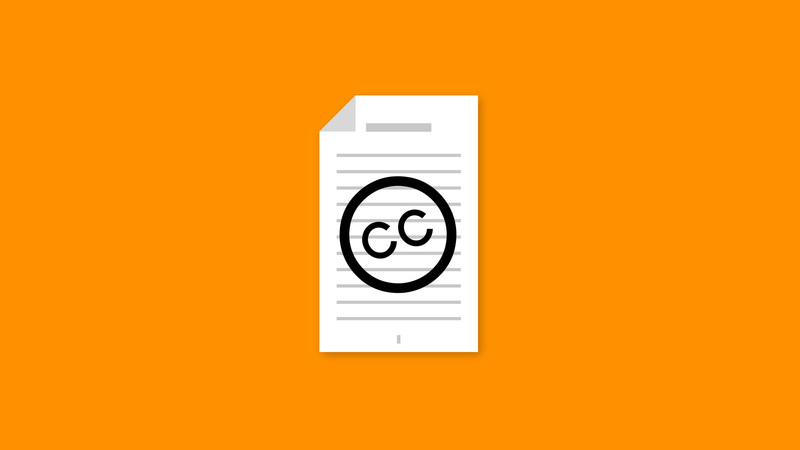 You can learn more about the CC0 license here. As a web solution company, these resources offer savings that get passed down to the customers who would no longer have to purchase images or other forms of content. These sites are often used for our web design service and you can find many traces of us using these resources on our own site (Reverse image search). By using Google Images. Lead developer and president at GearSite.